Zachary: "Gosh - 1 Million views of me." Zachary: "Just think if we had charged a Cookie per view?" Zachary: "One Million Cookies ALL for me." The Boys' recently crossed the 1,000,000 view Milestone on their Flickr photostream (where you go if you click on any image and where the VAST majority of pictures for this blog reside) and were thrown a surprise party to celebrate down at the Dancing Dog today! 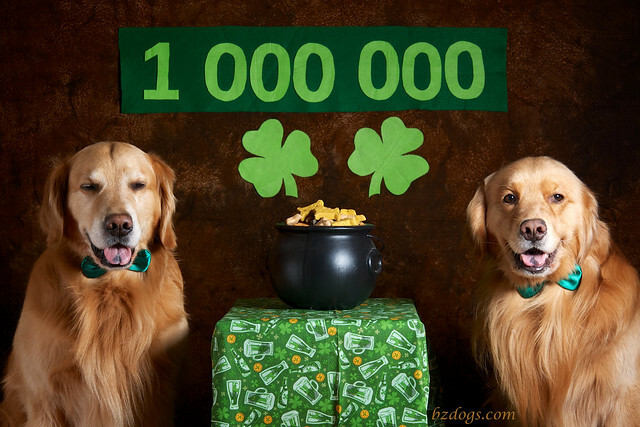 Our Daily Challenge - Mar 12 2015 - "Milestone"
Daily Dog Challenge 1232. 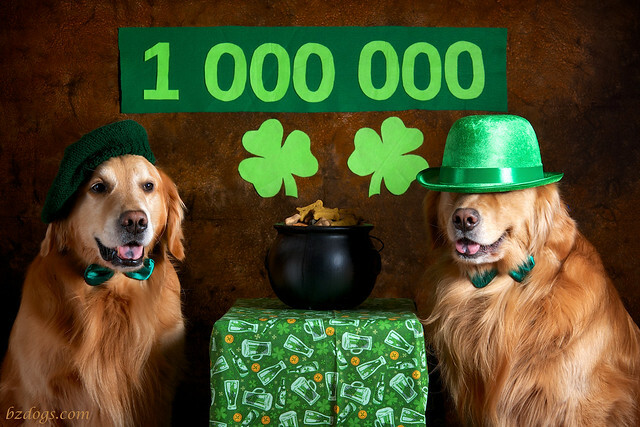 "St. Patrick's Day"
Congrats on a pawesome milestone!!! Congratulations on an awesome milestone! Well-deserved. Way to go dudes. Congratulations. 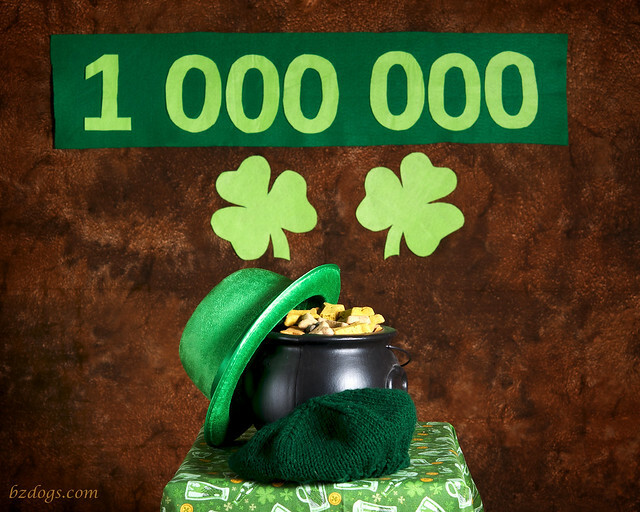 Happy St Patrick's day for yesterday, Have a wonderful Wednesday.